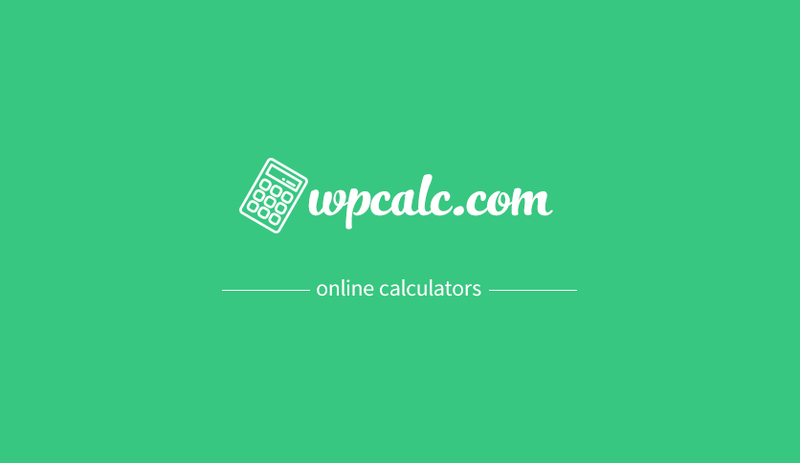 We provide the opportunity to purchase calculators from the site https://wpcalc.com. You can get your favorite calculators for only $ 3 for 1 calculator. Calculators are provided as separate plugins for WordPress or HTML like files, containing HTML code and script. Send a list of calculators to support@wow-company.com or through the form. Pay calculators from this page considering 1 calculator 3$. Write to us at support@wow-company.com about the fact of payment. Within 24 hours (maximum) you get a link to download the calculators. Please note that all calculators from the site https://wpcalc.com are sold as they are without any changes and modifications. You get a calculator such as on Wpcalc. When sending a letter with a list of calculators, please specify in what format you need calculators (WordPress plugins or HTML files). If you do not specify the calculators format, calculators for WordPress will be sent by default. Calculators are given indefinitely, the payment is one-time.